Do you know that unhealthy gums and teeth could invite serious health issues like cancer, diabetes, heart problems, and even stroke? Alarmed? Well, it is true to its every word. That is why they tell us to take good care of our dental hygiene. Dental care does not only ensure good oral health, but healthy teeth also add to our appearance aesthetically. However, there might be a few things you are doing for the sake of dental hygiene, but instead of doing well, they are causing you harm. Let’s take a look at five things which you must stop doing to keep your teeth healthy. Dental care starts with picking the right toothbrush. Yes! That’s right. Toothbrushes come in different sizes, shapes and stiffness levels. You should pick a toothbrush as per requirements of your teeth. If your teeth are small and sensitive, you might want to choose a toothbrush with a small head-size and soft bristles. Thus, there is a right kind of toothbrush for you and picking a random toothbrush would be an injustice to your teeth. Brushing your teeth for a long time and too often is not going to provide extra care to your teeth. It might instead damage the enamel of your teeth, therefore, making them sensitive. On the other hand, brushing your teeth once in a blue moon is also not recommended and is damaging for your dental hygiene. Dental hygiene suggests that you should brush your teeth for at least 2 minutes, twice a day, and every day. 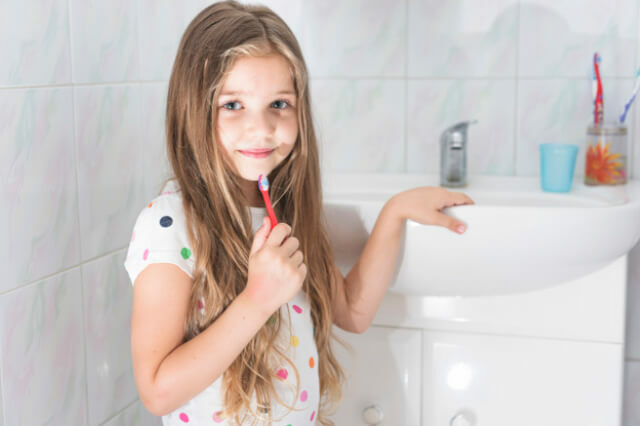 Brushing your teeth before going to bed is vital for dental care. Tip: You must not brush your teeth too aggressively or too gently. One mistake that most of the people make regarding dental hygiene is that they only brush their teeth and not the whole mouth. They ignore the cleaning of other oral areas like gums and tongue. This leads to the production of decay-causing bacteria which can reproduce over time and become a reason for oral diseases. To avoid the build-up or to get rid of the build-up, you must brush your gums and tongue. Fact: Brushing right after eating food will harm your teeth instead of benefiting them. You might be surprised, but it is true that right after eating, the enamel of your teeth becomes soft because of acids and sugars present in your food. The coating will wear thin if you use a brush on spongy teeth. Therefore, after you eat, you must wait for half an hour to brush your teeth. You can rinse mouth with water to wash off those sugars before brushing. Although brushing is excellent for dental cleaning, but only brushing is not enough. With a toothbrush, you can clean your mouth and teeth, but there are areas between your teeth where a brush’s bristles cannot reach. Plaque can accumulate between your teeth and without cleaning, it might harden over a period of time. To remove plaque, you need flossing. This prevents teeth and gums from cavities and other diseases.